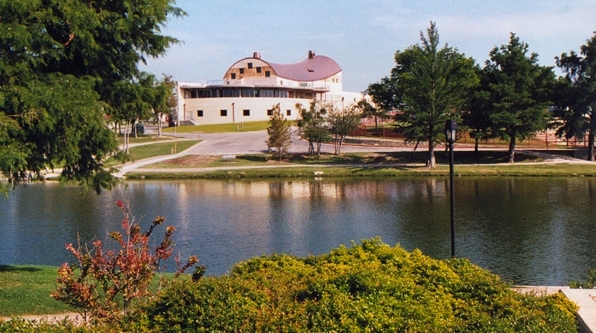 The San Angelo Museum of Fine Arts created a support group that will assist the Museum in developing, interpreting and maintaining the gardens, landscape and exterior spaces of the Museum. The Museum has made a significant commitment to encouraging sound ecological living. Among its major goals is to develop and enhance the landscape at the Museum using native plants and grasses and all measures possible to conserve water, soil and prevent pollution. The Museum hopes to accomplish this in a way that will also be an interpretive learning environment so that visitors can experience both the beauty of the landscape and benefit from the Museum's learning and experience. The Museum has named the group Docents of the Environment with the acronym D.O.T.E. In the museum world docents are trained guides. The word dote itself is defined in Webster's Collegiate Dictionary as "to be lavish or excessive in one's attention, fondness or affection" - Both of these ideas are inherent in what we hope to accomplish. The Museum will eventually commission a team of professional landscape designers to create a Master Plan for the entire area surrounding the Museum. It is possible that the Museum and the D.O.T.E. group may also interface with the City of San Angelo and the Upper Colorado Authority to help maintain and interpret the Paseo area on the west side of the museum. The D.O.T.E. organization will help raise funds for these purposes through dues, educational programs and fundraisers. Members of the group may perform varying functions according to their interests including conducting tours and providing labor and expertise in planning, maintenance and care of the landscape. We hope to sponsor symposiums on nature based environments and sound ecological practices in the landscape, organize local travel garden tours and other programs. Anyone may join and annual dues will be set at $50 per member. All dues received will be used directly for ecology programs and purchase of landscape materials and/or services.